In the winter, my boyfriend jeans played too big a role in my daily wardrobe. But when I&apos;d go to get dressed in the morning, the idea of comfort almost always won out over tight skinny jeans. 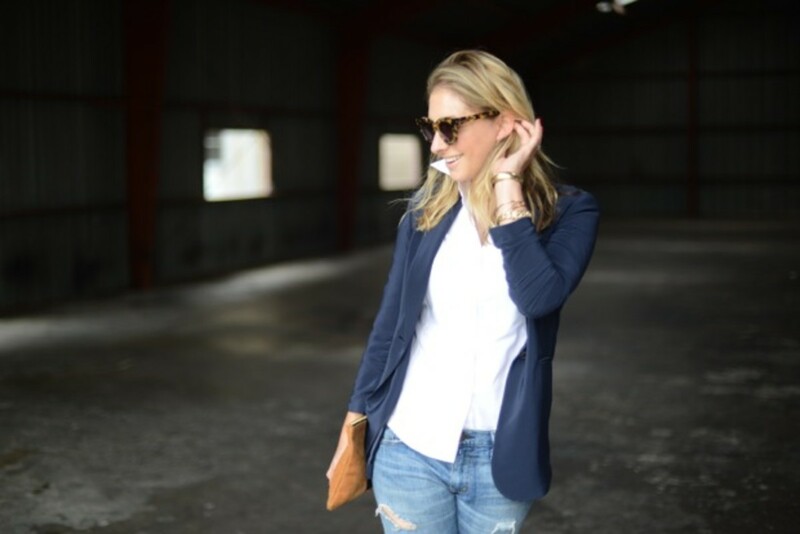 I&apos;ve since phased them out (mainly based on my husband&apos;s request), but still enjoy balancing them with polished pieces, namely studded heels, a crisp button-down and a navy blazer.